If it is just a few days until your birthday, and your mother says you can invite anyone you like to come over to play, be careful! If you don’t watch out, you might soon be having the craziest party ever. Before you know it, night could come and go and a new day could begin, and the dancing might still be going strong. 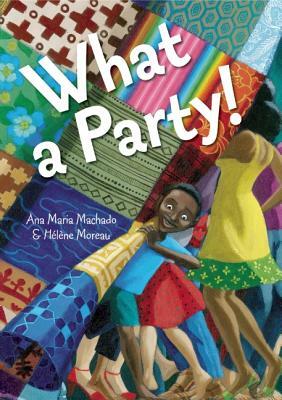 In a celebration of neighbors and diversity, an open-ended party invitation results in a raucous gathering of children, pets, and parents (plus salsa dancers and a reggae band! ), all feasting on food from all over the world. This is a humorous and irresistibly joyful cautionary tale.